Accordingly BJP leader Daggubati Purandeswari's son will be contesting from YSR Congress from Parchur constituency. Reportedly this constituency has been a traditional stronghold of the Daggubati family as Purandeswari's husband Daggubati Venkateswara Rao has won three times from Parchur. 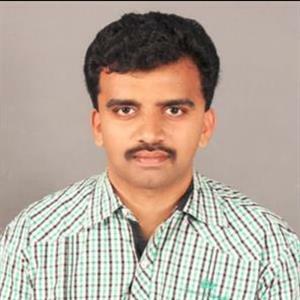 Presently the sitting MLA from Parchur is Eluru Sambasiva Rao from the Telugu Desam Party. Meanwhile there is a positive image about Sambasiva Rao in the constituency as he has established a good relationship with people and has taken up lot of development works. Earlier in 2014, YSRCP gave the ticket to Gottipati Bharath who lost to Sambasiva Rao and clarified to the party High Command that he will not contest again. Furthermore to implement its strategy of winning Prakasam district and make it a YSRCP bastion, the party has begun its "Operation Vijay." Meanwhile in this direction, the YSRCP is planning to give a tough fight to the TDP from Parchur and either have Daggubati family heir or Karanam family heir contest the seat. Moreover on the other hand, Purandeswari and Daggubati Venkateswara Rao have been spending time in Parchur to understand politics in the district. Further amid such a dynamic scenario, it is believed that even YSRCP is trying to get Purandeswari's son on board as they can use the "Nandamuri family sentiment" against the party. Perhaps in the meantime, TDP senior leader Karanam Balaram has been trying hard to get his son's entry into state politics.